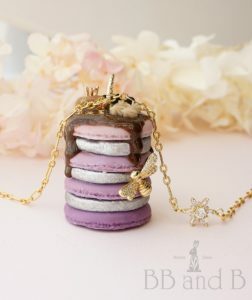 One of the series we’ve been planning for the Spring and upcoming Summer season, the Macaron Stacks are finally done! 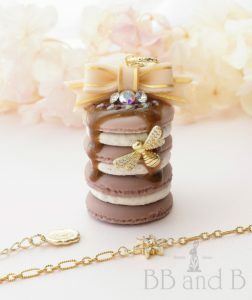 My Sweet Honeybee Macarons Stacks are pancake styled Macaron pieces with cream fillings and dark honey maple sytrup dripping from the top to the sides. 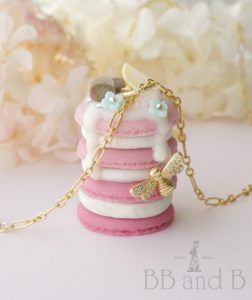 A cute bee with rhinestone wings hangs from the side to share in this Macaron stack. 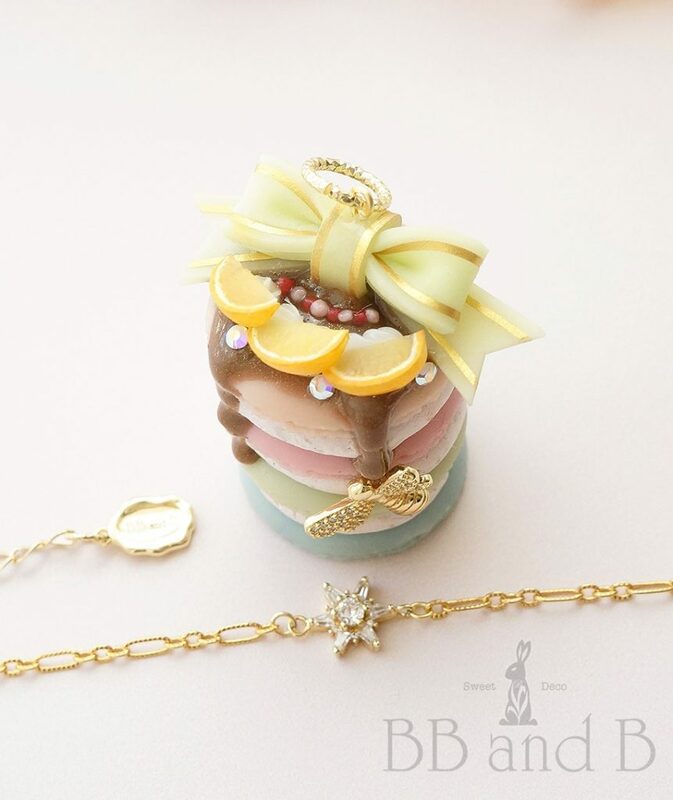 This whole set hangs from an 18K gold plated chain with a crystal star charm, and of course, Swarovski Crystals sprinkled throughout. We have 4 colorways to choose from… check them out below or click through to see the product and order page (must be logged in).